Coming to the post, this time its a review of the product permanent in my skin care shelf these days!! 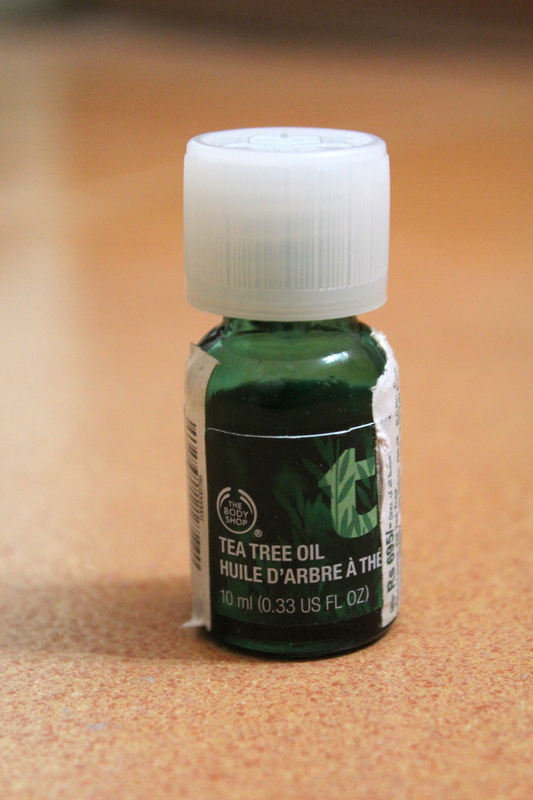 The Body Shop tea tree oil , which i am using regularly. Thanks to my sensitive skin, i keep on getting these bumps on my face every now and then specially during weather change and after travels. 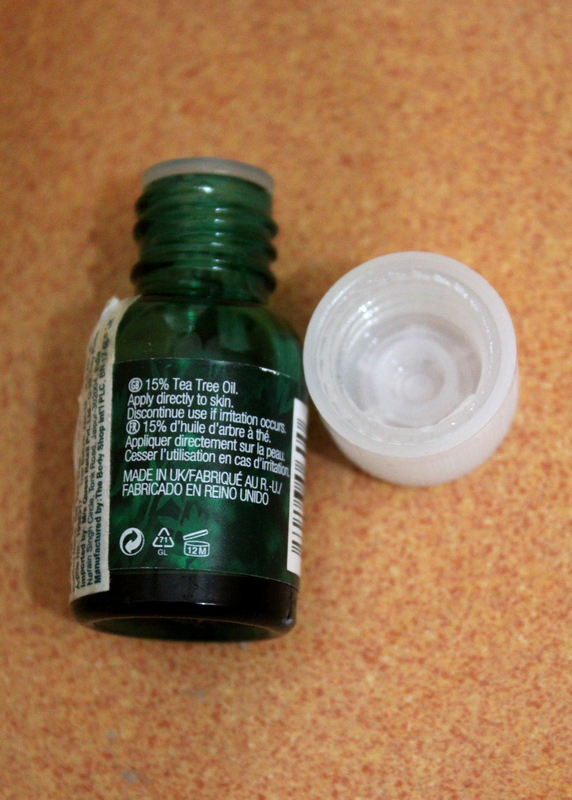 So i resorted to the oil after hearing a lot of good reviews about it. Let me also add, i am using the face wash and toner from the same range too. Didn’t quite liked the toner though(bit harsh for my sensitive skin). Ingredients : 15% of Melaleuca Alternifolia(tea tree) leaf oil, Water, Alcohol Denat., PEG-40 Hydrogenated Castor Oil, Polysorbate20, Limonene, t-Butyl Alcohol, Calophyllum Inophyllum Seed Oil, Citral, Leptospermum Petersonii (Lemon Tea Tree) Oil, Denatonium Benzoate, Tocopherol. I purchased this oil as i was getting a few breakouts on my face and after hearing a lot about the benefits decided to give it a try for my combination skin with dry cheeks and oily T-zone. The oil has to be applied on the concerned areas only and it subsides the acne overnight or two considering the severeness. Initially i wasn’t getting the desired results but i did not stop the usage. After a few days i could see the effects, It was working!! It did stop the pimple from breaking out but left a mark which has now become very light as i am still applying the oil on the spot. So i feel it works fine for blemishes but excellent for pimples. There is a little burning sensation once you apply it but goes off within sometime. A strong smell is present but its bearable. – It might not suit all skin types, so be prepared. 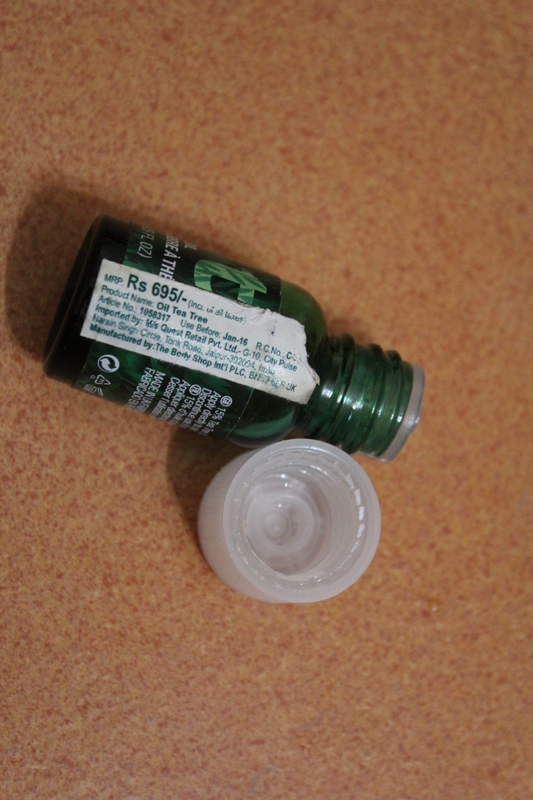 – A 10ml bottle costs 695 bucks. – It may leave a mark behind, which takes time to go. 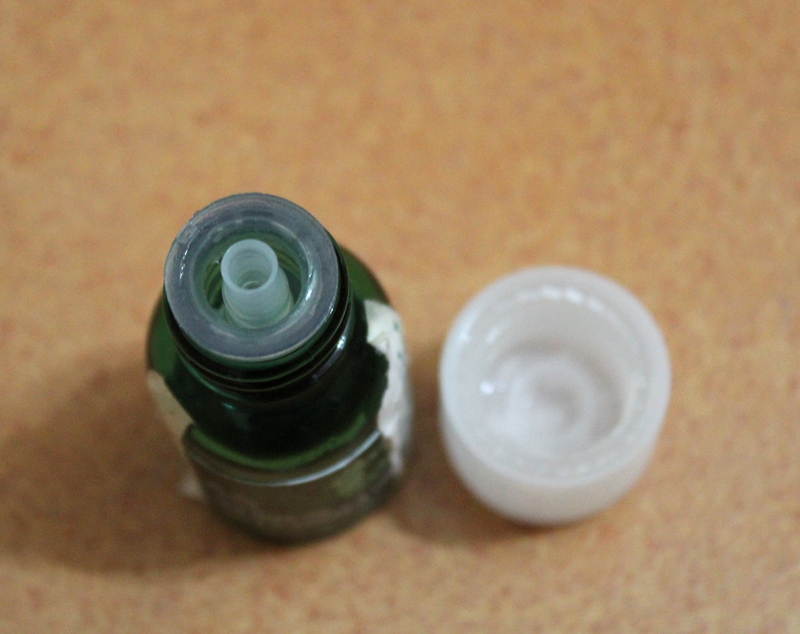 – The bottle cap be difficult to open sometimes with it Push down and turn technique. Overall, its a magic oil that removes acne within little time(obviously depending upon the severity) and serves the purpose it is made for. I am definitely going to repurchase the oil. I hope you find the review useful. I would love to hear your inputs if you have used it already and how it suited you. Also let me know if you have any more questions about it.